I saw this on Twitter today and if the creator will tweet me (@jackiesic), I’ll give proper credit. Following is quite the interesting article on social media and Sarah Palin’s extremely effective use of both Facebook and Twitter. 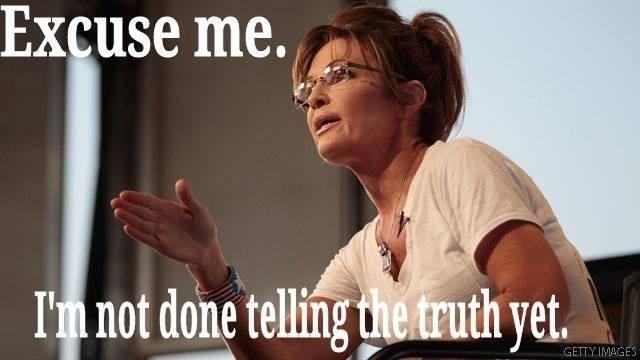 Okay, I know the original title of the article is somewhat different; however, if you take the time to read what Daniel Chioco has to say about Sarah Palin and her success in communicating her message via social media, I think that you just might agree with my title for this blog entry. 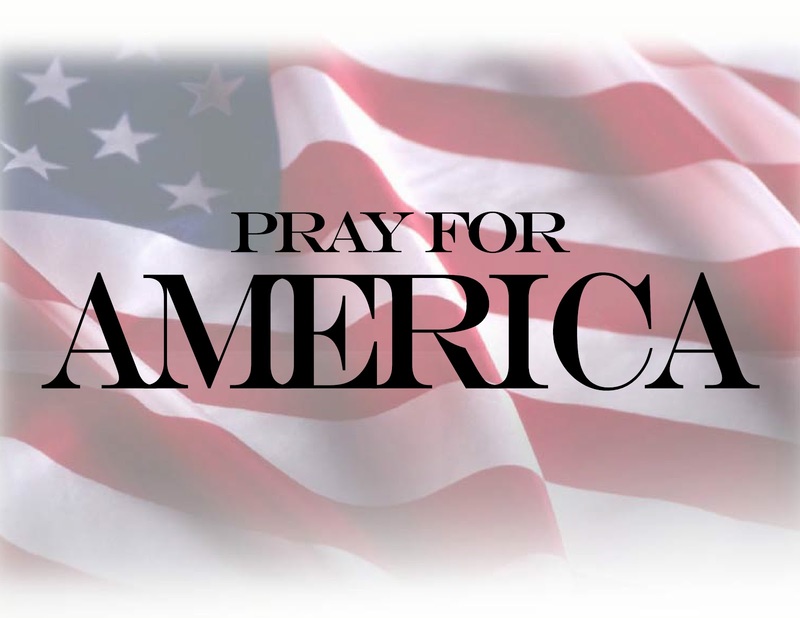 As I was browsing the pages of Google News to stay up-to-date with the latest in entertainment, politics, science, and other trending stories, I was surprised to see numerous headlines about Sarah Palin. 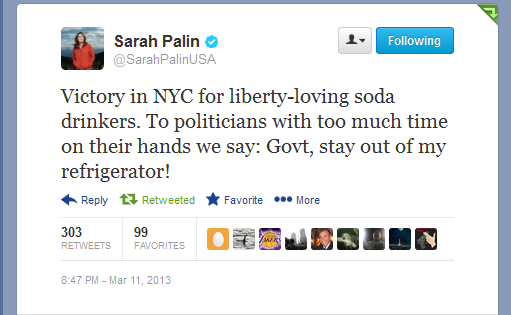 Now, this post isn’t meant to be political at all, but it still impresses me that even after 4 years without holding or running for office, Palin is still able to make headlines – even just because of a single tweet or Facebook post.From “death panels” to “blood libel” to her latest tweets on the IRS, I can’t think of any other politician who could make the front page of any newspaper because of a simple social media statement. Whether or not you like her, this sort of social media influence is the kind of impact that brands everywhere are after. Sarah Palin took to her Twitter and Facebook accounts yesterday to “fact check” and provide commentary on President Obama’s State of the Union address. The graphic at the bottom is her summary of important topics that were seemingly too unimportant for President Obama to touch upon. Some fine examples of her responses (tweets) to President Obama’s SOTU statements are here, here, here, and here. 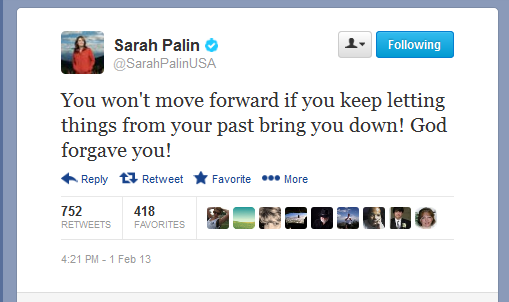 Early on, Palin introduced hash tag #sotUGottaBKiddingMe here. 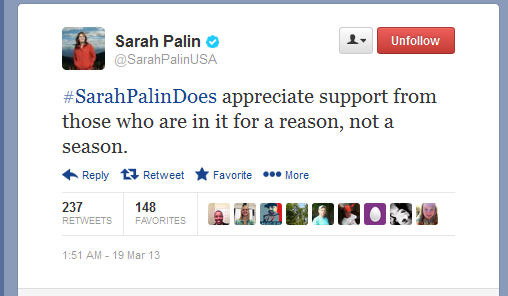 This is pure Sarah Palin. She’s unleashed, unshackled, and on a mission to fight for her country. I love it! Here’s a telling reminder of what wasn’t said tonight. 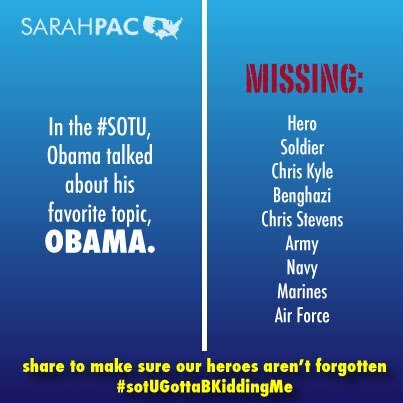 What Obama DIDN’T say reflects his values & priorities as much as what he did.